Crazy Book Reader: Featuring "Thirteenth Chime" by Emma Michaels, and Author's Interview!! Featuring "Thirteenth Chime" by Emma Michaels, and Author's Interview!! No one knew of its existence until it was removed from the attic upstairs. In a beautiful house that overlooks the sea, an antique clock has the power to change the course of their lives. The power the clock resonates will not only force Destiny and ex-boyfriend David on a journey into the depths of one man's mind long dead, but into the mind of a man filled with hatred and bent on revenge. With the only clues to the nature of the clock having disappeared into the sea, Destiny and David must retrace the steps the man had taken into the darkness, before they fall prey to the trap he had set in motion over half a century ago. This is Emma Michaels's Debut Novela, to be release August the Thirteenth , 2010. Emma:Well, I am a chocolate-loving, island-dwelling, book-a-holic, who has been fortunate enough to not only get published but to share my debut novel, "The Thirteenth Chime" with everyone. I love drawing and painting. I enjoy Budokon and a good computer game occasionally. RoseCBR:When did you started to write? 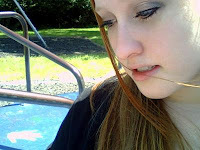 Emma: Shortly after I read my first YA novel, I began to scribble out some ideas. 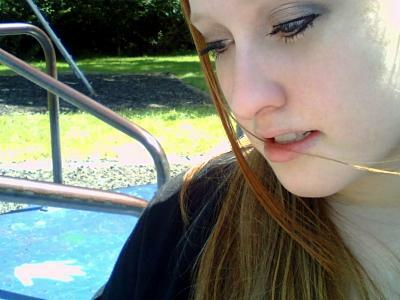 But I only began to write the way I have now just a few years ago, when I began planning "The Thirteenth Chime". Once I started writing, there was no stopping me! RoseCBR: How does Thirteenth Chime, was created, how the first idea of this book came to your mind? Emma: (I'm not sure about your question here, sorry! But I'll try :) ) The first idea for the book came to my mind when I was experiencing a large storm here on the island where I live. We had lost the power and went to our neighbors to share a few candles. Lightning was flashing and thunder could be heard over the waves and wind. Just at that moment when the storm quieted for a moment, the grandfather clock in the house began to chime. The sound echoed through the house and I can remember unconsciously reaching out for someone's hand, wanting to feel the bond of another in that moment. It was then that the first idea and inspiration of "The Thirteenth Chime" was born. RoseCBR: Did you make any kind of research for Thirteenth Chime? Emma: Yes, I actually spent almost two years doing the research for the book - I wanted to have the details as perfect as I could manage. I visited the town of Steilacoom and studied the prison island that I used for inspiration. The grandfather clock that originally inspired the idea for "The Thirteenth Chime" was also very important, and I talked to numerous clock-makers and researched antique clocks. I interviewed prisoners and prison guards, had a delightful conversation with a warden, talked with several different hospitals and EMTs. In fact, I would say that seeing these places, doing this research and interviewing the people I was fortunate enough to speak with was as enjoyable for me as writing the book. I am very thankful to everyone who has been a great help and wonderful support. RoseCBR: Did you stop writing it at any point?, if so how did you re-start writing? Emma: I didn't stop writing once I began. However, I'm a bit of a perfectionist (in my own mind, at least) and I kept scrutinizing the first paragraph of the first page. I wanted it to really catch the interest of an agent or publisher. It worked with the publisher but the agents didn't catch on as quickly. RoseCBR: How has been the publishing process? Emma: The querying process was a bit of a nightmare at first when I began querying agents. But once I took the plunge and began querying publishers directly, there was a tremendous difference in how they responded. With the agents, I received standard form rejections. With the publishers, I received personalized responses that were very complimentary and supportive. After I made my decision and chose a publisher, the rest of the process has been a blur. Bokheim has really been supportive and helpful in making the book ready for it's August 13th debut, and they've really made the process on my end easier than I ever would have expected. I am very thankful to Bokheim and everyone who has been so supportive! RoseCBR: Now that Thirteenth Chime, is about to be release, how do you feel? Emma: Some days, I still can't believe it *laughs* I mean, it wasn't that long ago that I was still receiving rejections from agents. As a matter of fact, there are days I check my e-mail and there is another standard form rejection from an agent. Then I read the words from fellow bloggers, blog readers, my editor, my father, my fiance and so many others. I knew I wanted to be an author, but I hadn't known until right now just wonderful and right this feels to me. I love writing and I hope to be able to share my books with each and every one of you for many years to come. RoseCBR: Anything else you would like to say to bloggers, readers, etc.? Emma: Thank you everyone for your support and kind words! I really hope you will enjoy reading "The Thirteenth Chime" as much as I have enjoyed writing it. I also promise I will keep writing for each and every one of you for as long as you want me to write! Enjoy the book! Crazy Book Reader, want to thanks so much to Emma Michaels, for her time and kindness. I really wanted to read Thirteenth Chime, but now that I get to know a little bit more about Emma and about the process of writting Thirteenth Chime, I really can't wait to read it. Hope everyone of you feel the same. 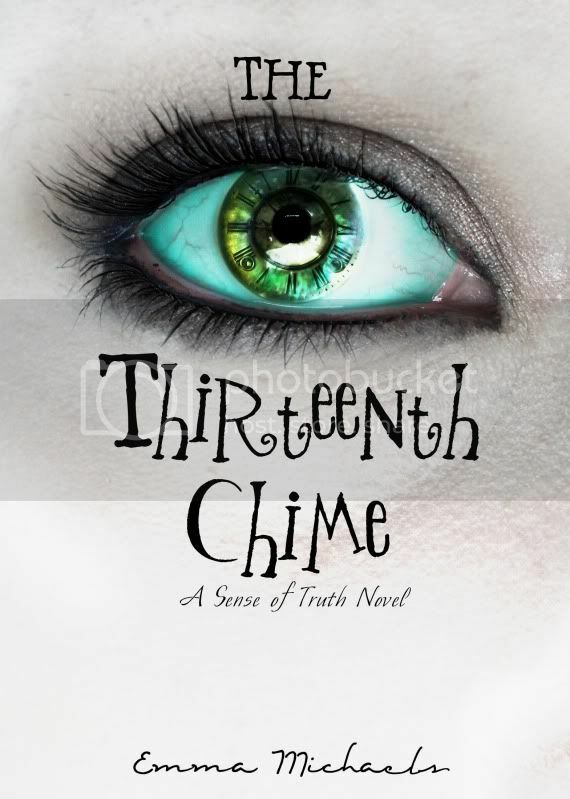 So don't forget to go to the book store on August the Thirteenth and get your copy of Thirteenth Chime. Thank you so much for the interview and for helping me spread the word!!!!! Agradezco tus comentarios. Thanks for your comments. Quieres la reseña de algún libro o recomendaciones, escríbeme!! I love reading, every single book I read makes me happy, and now Im here to share opinions, ideas, expectations, from old, new and outcomming books, hope you share your ideas too!! Adoro leer, cada libro que leo me hace muy feliz y ahora estoy aqui para compartir opiniones, ideas y expectaciones sobre libros viejos, nuevos y los que estan por salir; espero compratas tus ideas tambien!! 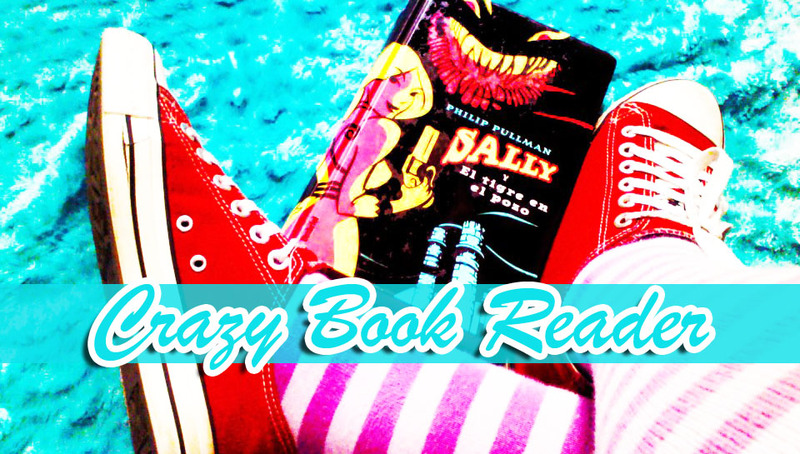 Sigue a Crazy Book Reader!! Follow Friday My Book Blog!! Review Hex Hall by Rachel Hawkins. Reseña de Hex Hall de Rachel Hawkins. Reseña de Switched de Amanda Hocking. Reseña y Concurso Ghostgirl de Tonya Hurley! !